Most retailers are now engaging with customers through social media such as Facebook via their smartphones, but then as soon as they cross the door into the store they seem to lose that mobile contact with them. 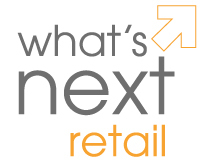 In his latest blog entry on retail thought leadership site WhatsNextRetail.com today, Tectura Senior Retail Consultant Randy Davidson said that while some retailers are engaging well with the customer through mobility -before- the consumer gets into the store, as soon as the customer -enters- the store, there seems to be an automatic disengagement from a mobile perspective. Davidson said this leads to loss of customer control and stops the retailer from gathering a lot of important data. Davidson said that most retailers are now engaging with customers through social media such as Facebook via their smartphones, but then as soon as they cross the door into the store they seem to lose that mobile contact with them. "A key question we’re helping retailers answer is how you can continue to keep them engaged using mobile technologies within the store to help drive more sales and gather more information. One of the key opportunities is to make the staff and the managers in the store more mobile. Giving them the same mobile access to the things that they’re giving the customers will ultimately give the customer a better experience," he said. Also in the post, Davidson discusses ideas for creating more powerful social media strategies. 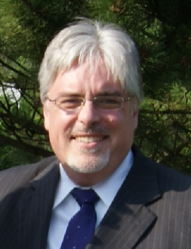 Randy Davidson is the Senior Retail Industry Analyst at Tectura and a regular contributor to WhatsNextRetail.com, a thought leadership site led by members of the Retail Industry Partner Community, a network of Microsoft Dynamics partners.